Vegetable gardens produce bright foliage, blooms and bountiful harvests from spring through summer, but only when they get the right planting and care. The first steps in that care include site, soil preparation and timing. Eastern Tennessee is in U.S. Department of Agriculture hardiness zone 7; the warm weather there means a long growing season for vegetable gardeners, with a mid-March starting date. Root crops grow well into summer and fall in all areas of the country. Start your garden preparation six weeks before the last frost, when the ground begins to thaw and dry out. The timing ranges from early to mid-March in this region. Find a site that gives you 25 square feet of space and is convenient to the house, where the plants get full sun and quick drainage of water and air. Dig into the top 10 inches of soil and add 2 to 3 inches of organic compost to produce quality soil for your vegetable plants. Plant frost-hardy summertime vegetables after you prepare the garden in mid-March. This planting may include asparagus, broccoli, Brussels sprouts, cabbage, cauliflower, lettuce, onions and spinach. Spread 2 inches of organic mulch over the soil after planting to protect seeds and roots, and put the garden on a schedule of 2 inches of water every week. Save sensitive summertime plants for after the last frost in the region, as they need warm-weather starts. Plant tomatoes, beans, corn, squash, peppers, watermelons, eggplants and cucumbers in late April when temperatures rise to 60 degrees Fahrenheit. Mulch these vegetables as well, and put them on the garden's watering schedule. 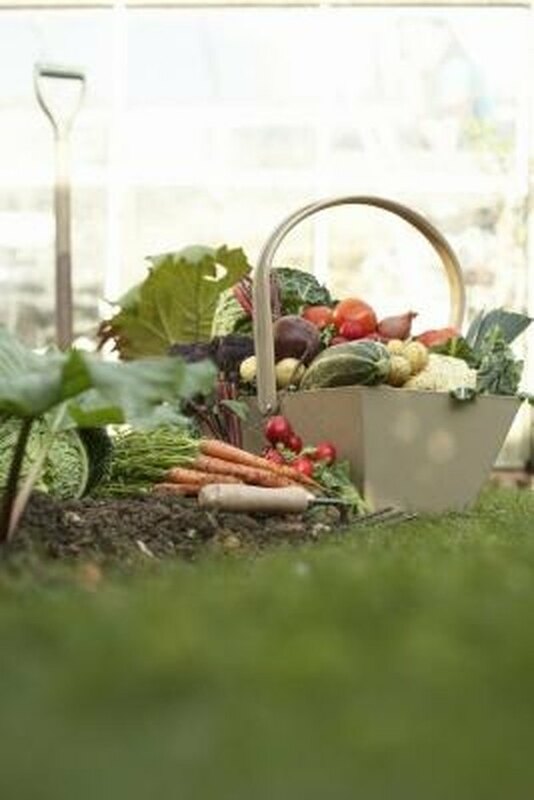 Continue with your summer plantings until two months before the last frost date, to stagger the plantings and maintain a vegetable harvest through the growing season into fall. Stop planting long-season plants like tomatoes, beans and squash three months before the first first frost, around July 1. Stop planting short-season plants like radishes, carrots, lettuce and cabbage around August 1. Plants that need mid-summer plantings need more mulch and water, as the weather gets drier and hotter in late summer in Tennessee.